A family in New Hampshire is having trouble sleeping - they say they're terrified of creepy crawlers after they found a giant venomous spider in their produce. The New Hampshire State entomologist tells necn it's likely a black widow. The Rydeen family of Fremont says it was twice as big when it was alive and watching it crawl around was like something out of a horror movie. "I mean I would have called 911 if my husband wasn't home," said Jennifer Rydeen laughing. 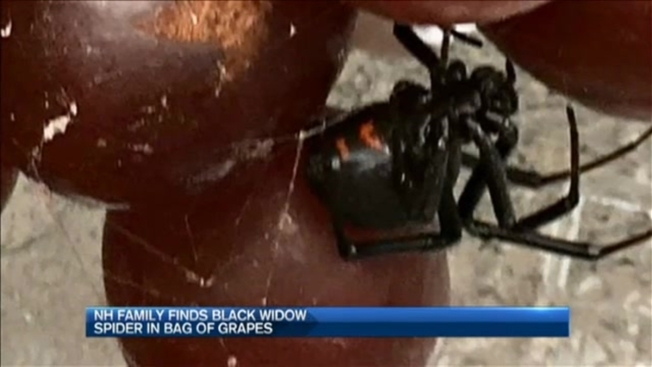 A Freemont, New Hampshire, family is counting their blessings after finding a black widow spider in a package of grapes. But when her husband was capturing this video Sunday night, it was anything but funny. "Definitely, one of the most frightening experiences of my life," Rydeen said Tuesday. 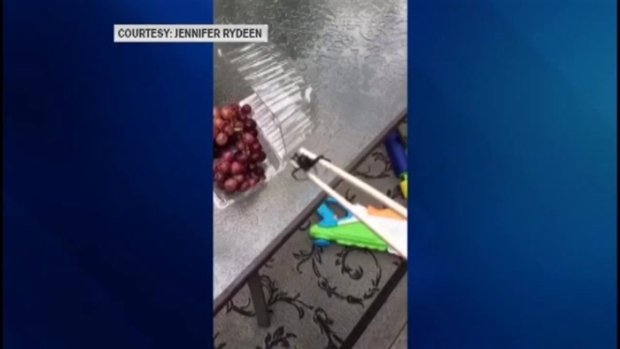 Rydeen was washing a package of organic grapes from Market Basket on Epping when she noticed unusually thick spider webs. She examined the grapes and came face to face with a giant black spider. 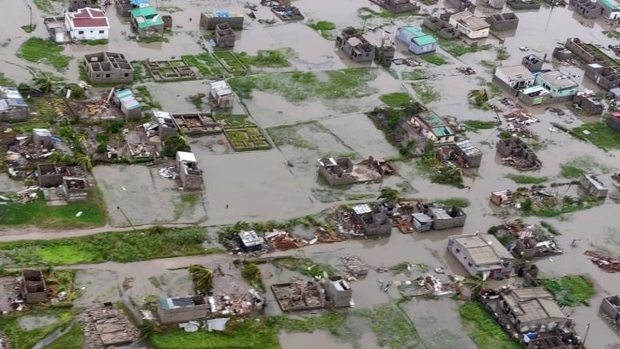 "When you actually see it, it's completely shocking," Rydeen said. Then she spotted that dreadful red mark, indicating the spider was likely a black widow. "It was like I was daydreaming," said 10-year-old Ella Rydeen. Her brother, 12-year-old Alec, said it was the biggest spider he'd ever seen. "It was very gross," he said. When they finally squished the spider, the "what ifs" became scarier than the insect. "I am thankful the kids didn't get into them first," Rydeen said. "I was panicky thinking if that got out, we have a dog, it could have bit the dog, it could've bit any of us." The black widow is highly venomous and a bite can be deadly. While experts say the spider occasionally hitch hikes to new England on produce, actually finding one in your grocery store grapes is rare. "I couldn't win the Mega Millions, but I won the black widow lottery," Rydeen said laughing. When Rydeen called to tell Market Basket about what she found, she says they offered her a refund and promised to notify the produce department. Our calls to Market Basket haven't yet been returned.